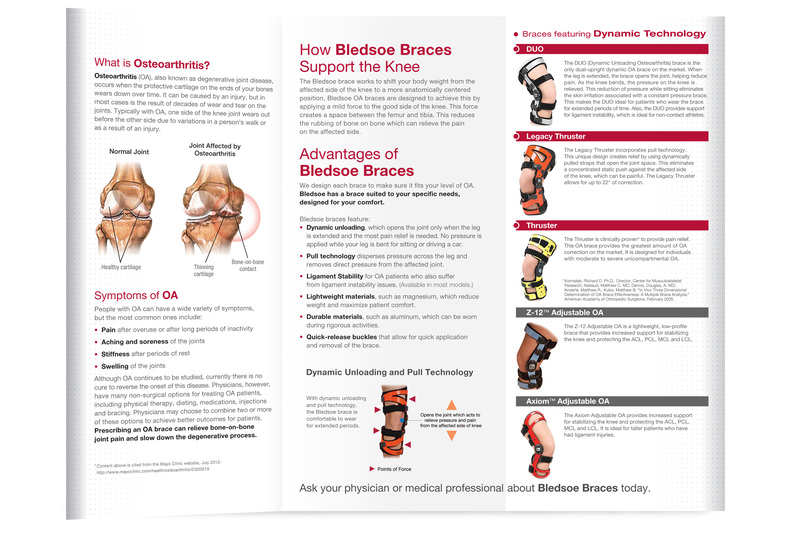 Bledsoe needed support materials designed to position their new offerings which target osteoarthritis. 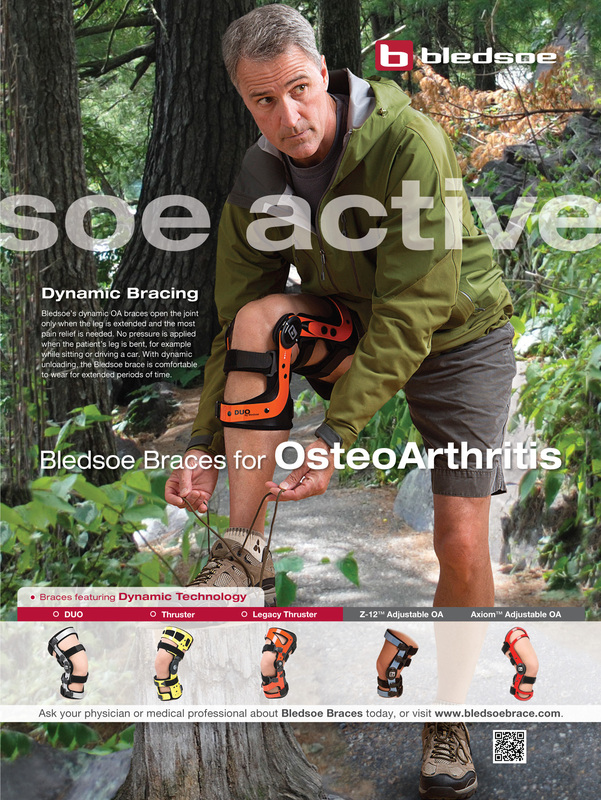 Targeting 40+ active men with OA, Bledsoe's dynamic bracing allows patients to stay active while recovering. 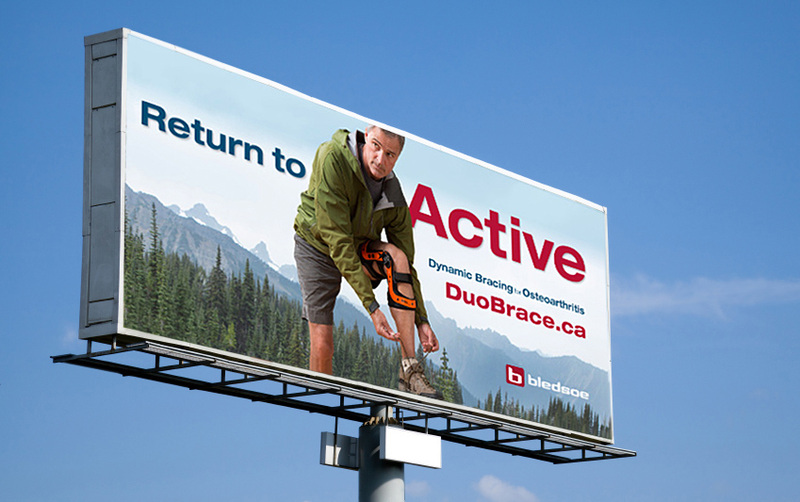 In addition to the print materials, we developed concepts to enter the Canadian market with a unique microsite and outdoor campaign promoting Bledsoe's DUO brace. 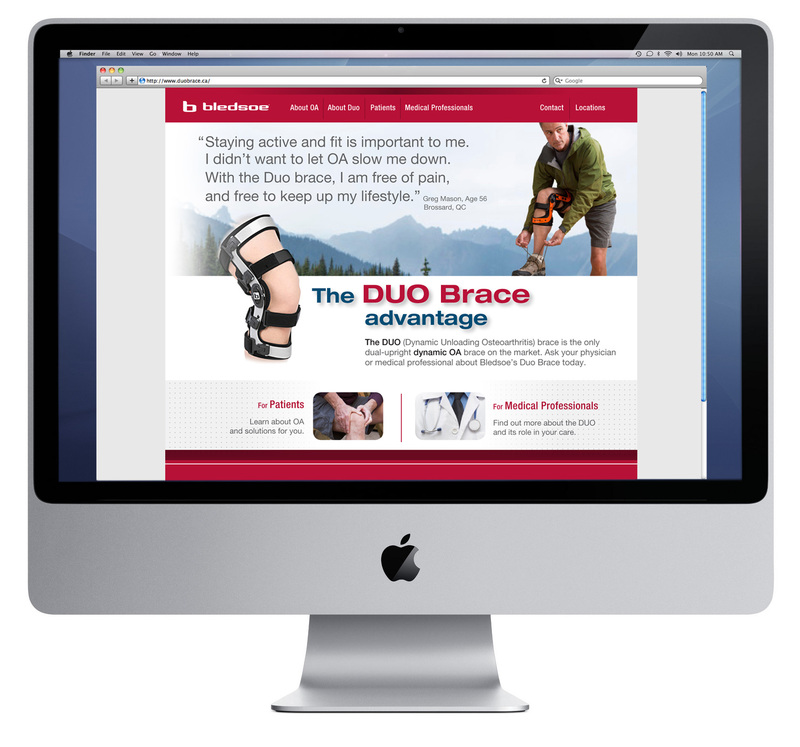 Proposed microsite for Canadian market. 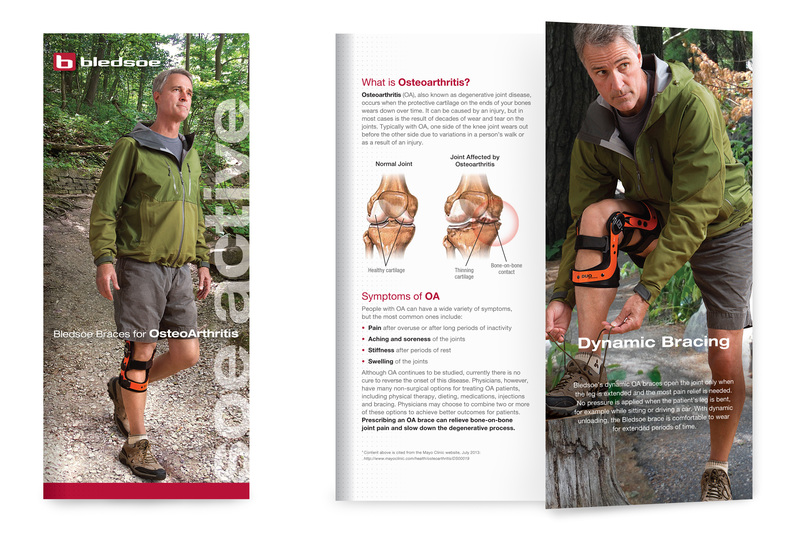 Proposed outdoor for Canadian market.